All of our soon-to-be married couples were given the opportunity to browse a series of carefully curated stalls set up by local suppliers, all hand picked by our expert Wedding Team. Couples could build their dream wedding day, with tours of our three hotel venues giving our guests an insight into the luxurious bridal suites available. Our lovely Wedding Team were on hand to answer any questions and chat through all of the options available, taking the stress out of wedding planning. Visitors enjoyed dancing on a Pixel LED Dance Floor from Northern Star Events whilst listening to popular hits from Stephen Chatterton’s Jukebox. 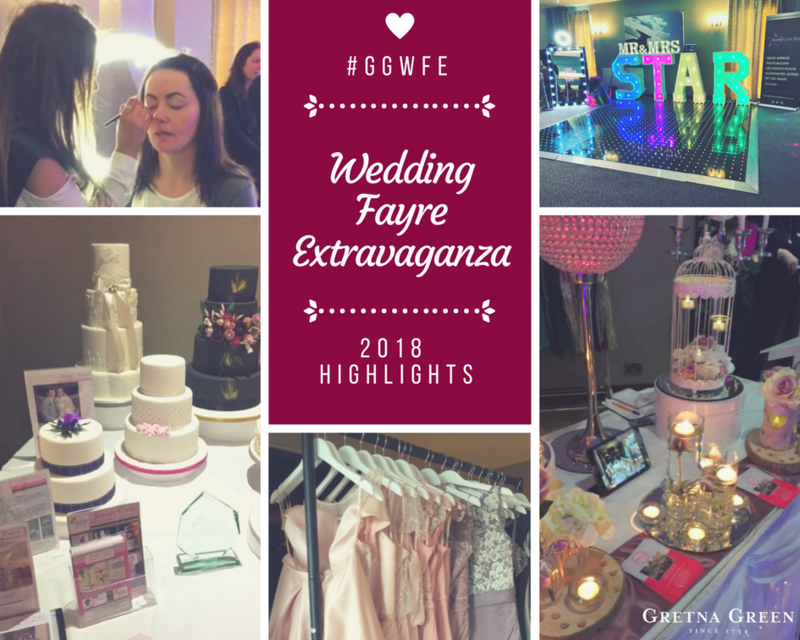 Getting married and missed the Wedding Fayre? Don’t worry our helpful team of Wedding Planners are available to help you plan your day. From choosing the right venue, to selecting a photographer to capture those precious moments, contact our Wedding Team today by calling +44 1461 336001 or emailing weddings@gretnagreen.com.